With less than a month until Tax Day 2013, many small business owners may still be in a rush to get their paperwork together. And as most business owners hire CPAs to do their personal and business taxes, a question was posed in our office as to whether it would be ever be more cost-effective for them to use online tax software like TurboTax or H&R Block at Home instead of paying by the hour for a CPA to do it. 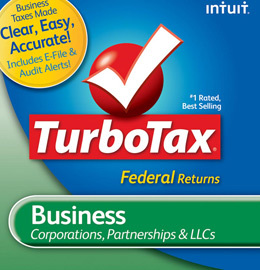 After doing some research, I found that all of the major online tax software brands (TurboTax, H&R Block, and even TaxACT) offer some kind of small business tax preparation software; ranging in price from $40 to $150. 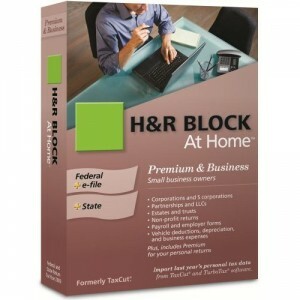 These products are all downloadable software that allows users to work on their tax return saved on a computer’s hard drive, and then file online. This not only alleviates some security concerns of entering all of your company’s financial information online, it also makes it so that you don’t need an Internet connection to work on your taxes. “Basically, it comes down to the individual user’s comfort level. I’ve had clients running a one-man operation out of their home who preferred not to do their tax return, while I’ve seen other people do quite well with large businesses that had many assets. TurboTax and other tax software programs are straightforward enough that anyone who has the numbers can answer the questions and step through the process, so it’s all just a matter of how well they trust their own abilities. Jim also noted that some of this software is only applicable for business owners who are sole proprietors filing a Schedule C. So you will need to make sure that the tax software supplies the forms you need to fill out before downloading the software.